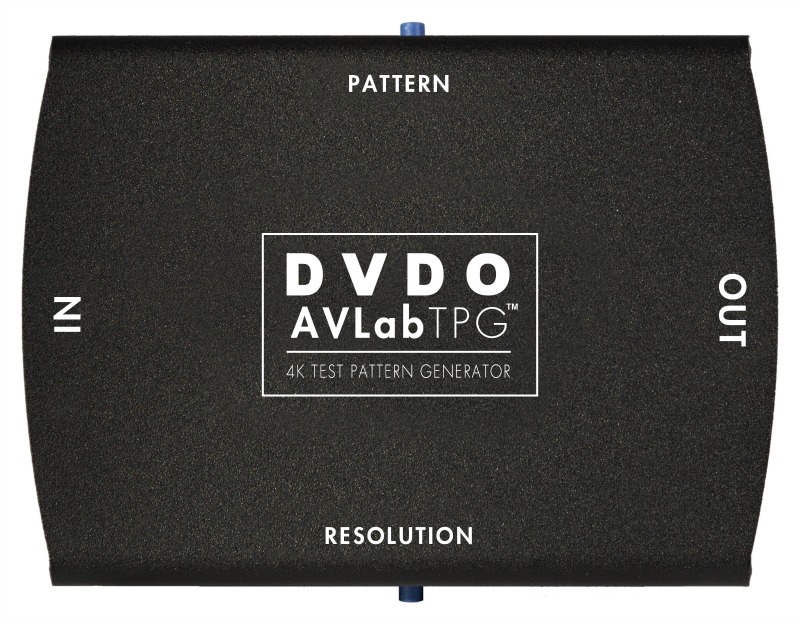 The DVDO AVLab TPG is the first pocket-sized test pattern generator supporting full 4K Ultra HD resolution (3840x2160) at 50/60Hz. Designed specifically for use with Color Management System (CMS) software such as ChromaPure, the AVLab TPG is powered by USB and uses the USB interface to automatically control the video calibration workflow. It is the ultimate tool for AV professionals in the field to deliver lab-quality functionality to on-site display setup and calibration. 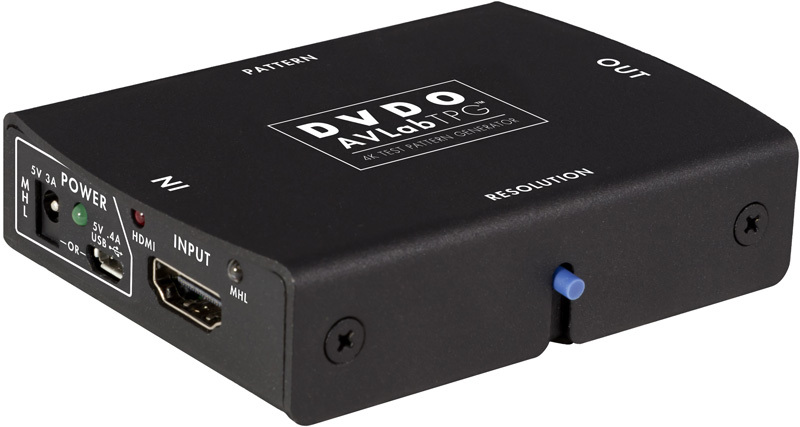 It offers a similar suite of test patterns as the DVDO Duo with a few differences. First, and most importantly, it outputs true 4K. 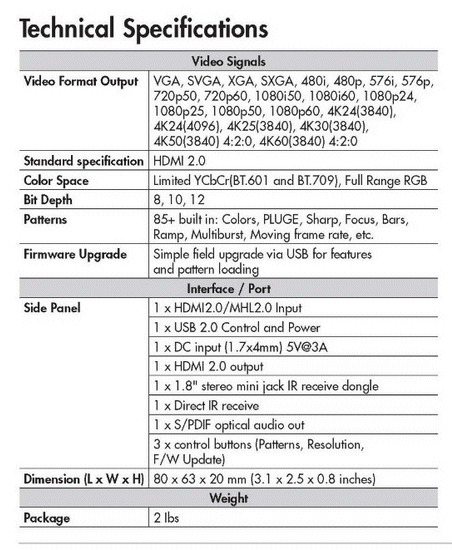 It will even output 4K at 60 Hz using YCbCr 4:2:0. This makes the TPG the most affordable 4K video test pattern generator on the market by far. The TPG is incredibly compact. It easily fits in your hand, which makes it ideal for portable applications. Furthermore, it can draw its power entirely from a connection to the PC via USB, so the user doesn't have to worry about connecting it a separate power source. 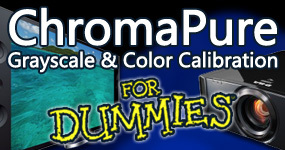 It also comes with a remote control for standalone use, and is fully supported by ChromaPure (as of version 2.5.1). Every serious calibrator, video tester or engineer, or enthusiast with a 4K display should have one of these as part of their toolkit.